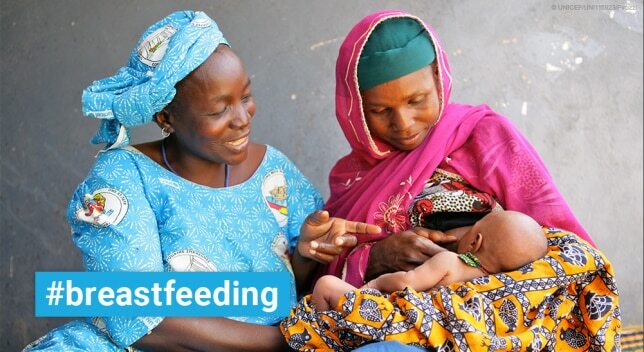 The new report shows despite evidence that breastfeeding has cognitive and health benefits for both infants and their mothers, no country in the world fully meets recommended standards for breastfeeding. Five of the world’s largest emerging economies; China, India, Indonesia, Mexico and Nigeria lose 236,000 children yearly owing to lack of investment in breastfeeding, that is according to the scorecard on global breastfeeding. The United Nations Children’s Fund (UNICEF) and World Health Organisation (WHO) published the report in collaboration with the Global Breastfeeding Collective (GBC), a new initiative, to increase global breastfeeding rates. The report reveals that no country does enough to help mothers breastfeed their babies for the recommended minimum of six months. The report titled “Nurturing the Health and Wealth of Nations: The Investment Case for Breastfeeding”, released at the start of World Breastfeeding Week (August 1 – 8) alongside a new analysis stated that a yearly investment of only $4.70 (N1,433) per newborn is required to increase the global rate of exclusive breastfeeding among children under six months to 50 per cent by 2025. Rwanda and Burundi have the highest rates of exclusive breastfeeding for a baby’s first six months – 87 and 83 percent respectively while Chad and Djibouti came bottom, scoring 0 and 1 percent. Furthermore, the scorecard shows a quarter of babies under six months are breastfed exclusively in the world’s largest economy(US) and in China, the rate is one in five. Why Are Doctors Prescribing Fluconazole To Pregnant Women?